Whether you’re sitting down to a seafood dinner at a restaurant or buying something succulent from the sea to cook at home, you may want to quiz your waiter or fishmonger before placing your order. Why? Because you may be getting ripped off—with fish that were raised and harvested differently from what you think you’re buying…not to mention the jacked-up price you’re being charged. Recently, Oceana, a nonprofit advocacy research organization headquartered in Washington, DC, did DNA testing on 1,215 samples of fish sold in 674 retail outlets in 21 states. The results revealed that one-third of the fish were “mislabeled.” The purveyors had advertised the fish to be one species, but they actually were selling a cheaper species. Example: Tilefish, a fish that the government advises women not to eat because of high levels of mercury, was mislabeled (and mispriced) as Alaska halibut. Paying for something you didn’t get is bad enough…but it gets worse. The lower-cost fish often are farmed, raised in crowded pens and from less regulated parts of the world than the US. Disease can be a problem in these conditions, and sick fish often are treated with high levels of antibiotics and other chemicals not permitted in the US because they are suspected to have toxic or carcinogenic effects. That’s a health risk to anyone who consumes the fish—but is of particular concern for young children and pregnant women. Restaurants are no more ethical than retail stores. Researchers at UCLA and Loyola Marymount University conducted a four-year study of sushi sold at 26 restaurants in Los Angles. The researchers analyzed the DNA from 364 samples of fish from the sushi…and found that nearly half—47%—were a different fish from what the menu indicated. At a restaurant: Ask where the fish is from…if it’s wild or farmed…and what specific type of fish it is. Sometimes some or all of this information is on the menu. If it isn’t and the server or chef cannot tell you, you may want to make another choice. At a retail store or fish market: Ask if the fish is traceable. Some large retailers get their seafood only from sources that use volunteer traceability. In that case, the attendant can answer where the item is from, whether it is farmed or wild and the species name. If you know your fish, buy it whole and ask the attendant to fillet it for you. 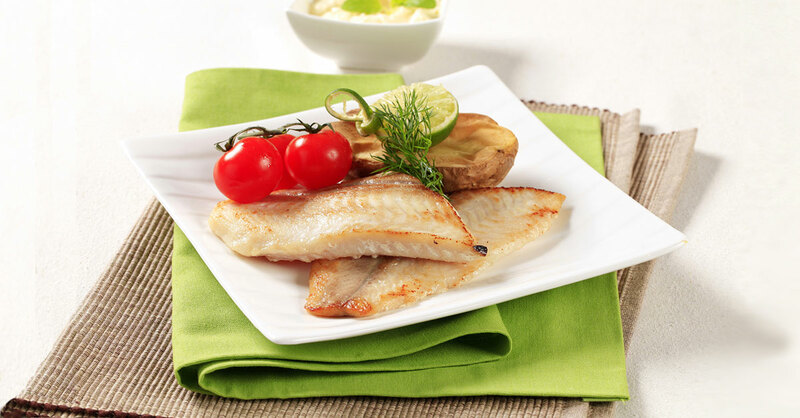 Fillets from different fish can look alike and can be more easily mislabeled. (Bonus: Make sure to ask for the fish head—it makes wonderful broth!) Finally check the price. If it’s too good to be true, you may want to make another choice. The National Oceanic and Atmospheric Administration (NOAA) has a mandatory Seafood Import Monitoring System (SIMP) for 13 species of seafood imported into the US. The list includes fish identified as particularly vulnerable to illegal fishing or to being substituted for a cheaper species—abalone, Atlantic cod, Atlantic blue crab, mahimahi, grouper, king crab, Pacific cod, red snapper, sea cucumber, shark, shrimp, swordfish and an array of tunas (albacore, bigeye, skipjack, yellowfin and bluefin). The system tracks the fish from the point of harvest to the US border. While there is no guarantee that they will be labeled correctly, at least fish on this list for sale in stores are more likely to be legally sourced. Shop the chains. A new study from Oceana found that seafood is less frequently mislabeled at larger chain grocery stores than at smaller markets (12% vs. 24%). One reason for this may be that larger stores must follow the USDA’s Country of Origin Labeling (COOL) requirements, which provide consumers with source-of-origin information for certain foods. Restaurants and smaller stores and markets are exempt from COOL. Salmon tip: Salmon is one type of fish that is sold with a species-specific name, such as sockeye salmon—so you can be more certain that what the label says is what you’re buying. And in fact, a recent study from Oceana found relatively low levels of salmon mislabeling in large-chain grocery stores. Buy in season. Seafood that is in season is more likely to be fresh rather than frozen and less likely to be fraudulently switched out for a more readily available variety. Take a Break from Salmon!